Compact, lightweight and self-contained, the ARRI ALEXA Mini is a versatile additional tool in the ALEXA camera range. These include highly integrated and sealed electronics, a lightweight carbon housing and a solid titanium PL mount that connects directly with the new internal sensor mount. Alexa Mini is a compact and lightweight camera, one of the lightest cinema cameras on the market (2.3 kg). Thanks to its cubic design, the Arri Alexa Mini offers easy handling and the possibility of multiple camera configurations.It has internal ND filters (0.6, 1.2 and 2.1) and has an interchangeable PL mount that connects directly with the new internal sensor mount – also made of titanium – to ensure a super-stable flange focal distance, even when using large lenses. You can also configure the camera to Canon EF or B4 mount.It records up to 200 frames per second with a large dynamic range (14 stops) and the characteristic look of the Alexas. It also allows ARRIRAW recording and placing the ratio in 4: 3 format. Alexa Mini is a reliable solution for all types of productions being a perfect camera in different shooting situations like cranes, steadicam or movi, aerial planes, underwater or hand held. 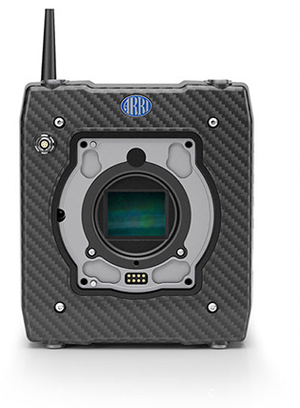 A lot of solutions have been incorporated to the designe of the camera for being able to maintain the rugged build quality that characterized ARRI in a small and lightweight camera.Which includes a highly integrated and sealed electronics, a lightweight carbon housing and a solid titanium PL mount that connects directly with the new internal sensor mount (also made by titanium) to ensure a super-stable flange focal distance, even when using large lenses. Because of its size it is very easy to transport and can facilitate a lot in shooting with confined spaces. The Alexa Mini offers a lot of ways and possibilityes for the operator. You could operate with an on-board monitor and controlled via the user button interface on the camera body or by wireless remote control, as a normal camera with the ARRI MVF-1 multi viewfinder attached. This camera is extremely quiet at the time of operating which makes it ideal for tight shooting conditions. It is light and compact enough to be comfortably held at arm’s length in a hand rig. It has a symmetrical design which permits filming in any orientation, including upside-down and in portrait mode, while multiple accessory points enable highly creative mounting solutions. In addition, the ALEXA Mini’s interchangeable lens mount can be replaced with any of those designed for the ARRI AMIRA, allowing the use of B4 video and EF mount stills lenses. A great thing about the Alexa Mini is that it combines the characteristics of this unique model, its compactability, its lightness, the different camera configuration it offers,etc, with the unparalleled image quality that has made the ARRI ALEXA system a standard for the industry. If you want to combine the Mini with any other ALEXA camera then you will have perfectly matched images, even on anamorphic productions – thanks to the 4:3 sensor and automatic de‑squeeze function. You will also find the same workflows with options to record ProRes or uncompressed ARRIRAW either in-camera to CFast 2.0 cards or to a specially-designed external Codex recorder. Now by using a external Codex recorder which can record images streams from even four ALEXA Minis simultaneously you can make much easier specialized shots or multi-camera setups such as 360º plate shots, stop wasting extra time. You can also avoid using a separate high-speed camera by using the ALEXA Mini which offers you the possibility of shooting with a maximum frame rate of 200 fps means it can also be used for stunning slow-motion cinematography. With the ALEXA Mini the difficulties we faced in the past are eliminated. You wont have to solve grading problems trying to match images from ALEXA´s cameras with small cameras from other manufacturers. With the ALEXA Mini all images come from the same sensor and share the same color space than the ALEXA classic family with their famously natural colorimetry and pleasing skin tones. The ability to use CDLs and 3D LUTs in-camera for on-set color management will also reduce time and money spent in post. The ergonomics of the ALEXA Mini has been created under the influence of a practical thought having in mind the new-generation brushless gimbals, multicopters and other specialized rigs.It is compact enough in the lens direction to allow the use of standard PL mount lenses even on lightweight and space-constrained rigs, such as gyro-stabilized aerial systems.Its performance for an underwater work is perfect because of its capacity of handling low-lights spaces. An integrated lens motor controller allows new active lens motors to be connected directly to the titanium PL mount, so focus, iris and zoom settings can be controlled from ARRI hand units without an additional external box. It incorporates a system of wireless remote control, as a normal camera with the ARRI MVF-1 multi viewfinder attached, or you could operate it with an on-board monitor and controlled via the user button interface on the camera body. This system allows you to control the camera with accessories of Arri or with a computer, tablet or mobile phone of last generation. Within the compatible accessories of Arri with the Alexa Mini highlights the Arri WCU-4, which in combination with the new motors C-force Plus will allow you to control camera and lenses remotely, without the need for receptors. It can also be configured via the MVF-1 electronic viewfinder just like the Arri Amira. Optics with LDS mount such as Cooke S4 / i T2 or Zeiss Master Prime T1.3 offers metadata information which is transmitted to the camera and the WCU. This facilitates the work of the focus puller at the time of reporting the aperture, depth of field and focus ring position. 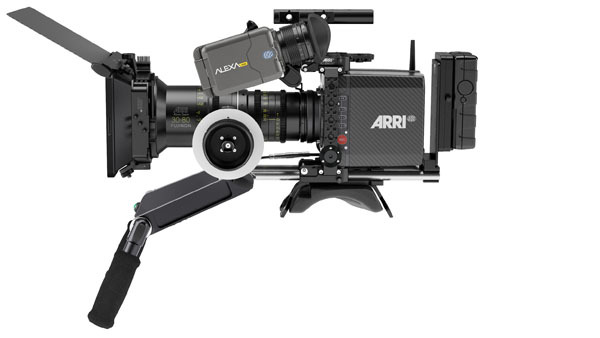 The active PL mount from Arri also could feed the optical servo of lenses as the Fujinon Cabrio without power cables. ARRI's Lens Data System® (LDS) generates highly accurate lens metadata for use on set and in post. When using an LDS lens on AMIRA's LDS mount,information about iris, zoom position or focus is visible in the viewfinder and the files will have lens data embeded in the recorded footage. The data also allows lens mapping to pre‑marked focus rings and reduces the time and expense involved in achieving complex visual effects in post. Disponemos de varios equipos de cámara Arri Alexa Mini equipados con los mejores accesorios como mandos de foco Inalámbricos Arri WCU 4 , Portafiltros Arri, Estativo y Teradek Bolt 1000. The most complete and lightweight camera systems ever built. Just great!